David Tyler is a Director of LP Gas Business an Australian company providing consultancy support to the global LP Gas business. David is contracted with the World LP Gas Association (WLPGA) in Paris as one of their Directors. Before establishing his own company in 1996 he worked with Shell International for 25 years, living in Europe, the Middle East, Asia and Australia. During his career in Shell he was responsible for running Shell’s LP Gas businesses in Hong Kong and China. He has undertaken projects all over the world, focusing on the downstream LP Gas sector — from primary storage through to the consumer. At the WLPGA he is responsible for major projects within its programme, including training, developing and promoting good business practices, and providing technical support. He is the author of the Association’s two flagship documents on Best Practices, Guidelines for Good Business Practices and Guidelines for Good Safety Practices. He has run training courses and best practice workshops for the WLPGA in South America, Africa and Asia focusing on improving safety standards in LP Gas businesses, especially in bulk road transport and cylinder operations. David is a chartered engineer and has a post graduate diploma in management. He would be responsible for developing the course materials and for conducting the training. Rajeewa is a Director of Inzolutions Engineering Australia , a business providing project management and consultancy services to the LPG industry in Australia and as well as globally. Prior to establishing Inzolutions Engineering in 2012, Rajeewa worked for major LPG companies in Australia and Asia. He has more than 18 years of specialised international experience in the LPG industry including storage & distribution projects and autogas development working with Wesfarmers Kleenheat Gas, in Australia, Wesfarmers Kleenheat Elpiji Limited, Bangladesh and Laugfs Gas, Sri Lanka. During his career at Kleenheat Gas in Australia, he was a senior engineer /project manager of the company’s major project team and was responsible for all autogas installation projects in Western Australia for more than 6 years. He was the internal dangerous goods assessor for Kleenheat Gas for LPG and LNG. Rajeewa was involved in setting up pioneering autogas businesses in Bangladesh and Sri Lanka. Currently he is assisting Petredec Investment’s Bangladesh & Myanmar LPG operations on their ongoing projects. Rajeewa is a Mechanical Engineer with a post graduate diploma in Industrial Engineering. Niels Frederiksen is a Technical Support Manager of Hexagon Ragasco AS, the world’s largest and by far most renowned and experienced manufacturer of type 4 composite cylinders for LPG. He supports the company Sales Team as well as their cylinder customers on technical specifications and installations. Before joining Hexagon Ragasco AS in 2014, Niels worked for 15 years in the Cavagna Group S.p.A., Italy being responsible for their sales of LPG regulators and valves in the Scandinavian Region. He was also involved in the company’s development of valves for LPG bobtail trucks as well as FLT LPG equipment. Prior to this, he was the R&D manager for 20 years at Kosan Teknova A/S, responsible for developing LPG valves, regulators and other accessories for portable cylinders WW. His experience covers specification and design of LPG equipment like portable cylinder and tank valves, regulators and accessories, CNG valves. Niels have provided on-site technical and engineering support to LPG equipment customers around the globe as well as trouble shooting and plant assessments. Niels is a CEN/TC286 member and he was involved in writing the first EN standards on LPG valves and regulators during the late 1990’s. Today he is representing Norway as an expert in the continued CEN/ISO standard developing program. Niels is a Master of Science and Ph.D. in Mechanical Engineering, and has been active in the LPG business since 1989. His experience covers setting up autogas installations, bulk LPG/LNG storage & distribution projects, operations & maintenance, HSE management, site assessments and audits. Vic Mariñas is the Technical Director of Greenology Innovations Inc., a Philippine company focused primarily in LPG engineering works and distribution of LPG equipment. At the same time, Vic is an independent LPG consultant for several Philippine-based companies and foreign organizations since 2012. Vic is contracted with Clean Energy Fuels Australia as a LP Gas consultant. He is also on contract with Bonifacio Gas Corporation in the Philippines to set up and implement its HSE Management Systems. Prior to joining Greenology Innovations Inc. in 2012, Vic worked for 26 years in Shell Gas, with stints in Vietnam and Hong Kong. His last position is LPG Regional Operations and Technical Manager for Asia. In Shell Gas, Vic was responsible for technical, engineering, operations, transport and HSE for LP Gas businesses in 8 countries. His experience covers construction of LP Gas storage tanks and truck unloading facilities, installation of cylinder filling plants, Autogas facilities and bulk consumer , requalification of storage tanks, design and construction of LP Gas reticulation system, HSE audits and assessments, and accident investigation. Vic was the involved in writing three of the World LP Gas Association’s Best Practice Guidelines i.e. 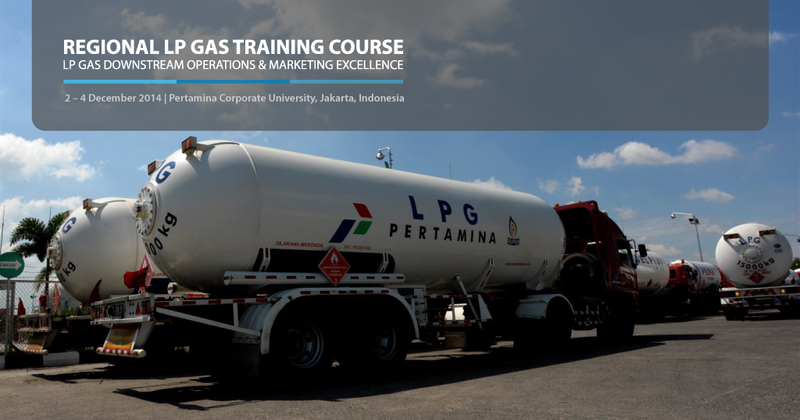 Cylinder Management, Bulk Installations and Road Tanker Management and has conducted best practice training on Road Tanker Management and LP Gas Reticulated System for WLPGA in Bali, Indonesia. Vic is a Registered Mechanical Engineer and has a Master in Business Administration. Makoto Arahata is a LPG consultant based in Japan. He joined Bridgestone Liquefied Gas Co., Ltd (now ENEOS Globe Corporation) in 1972. He started his career in the R & D department developing a burner systems for LPG. During his career he worked in various LPG business units including technical development, supply & logistics and has conducted training at various times throughout his career. Arahata-san also had responsibility, as General Manager, for constructing the LPG national stockpile terminal in Japan. He has lived and worked in Kuwait and London, U.K., for seven years conducting LPG trading. After leaving the ENEOS Globe Corporation he worked for the Japan LPG Association as Overseas Business Manager for three years until June 2014. Since then he has been developing his own company, Arahata LPG Consulting Co., Ltd., in Tokyo, Japan. He has a Bachelor of Science and is an A-grade license holder for high pressure gas, certified by the Japanese government.